Tropicana Field has been the only MLB Park for the Rays. Unfortunately the club has a lease that runs through the year 2027. There have been several talks of a downtown Tampa Stadium right off of Highway 4. All of those plans have been derailed. 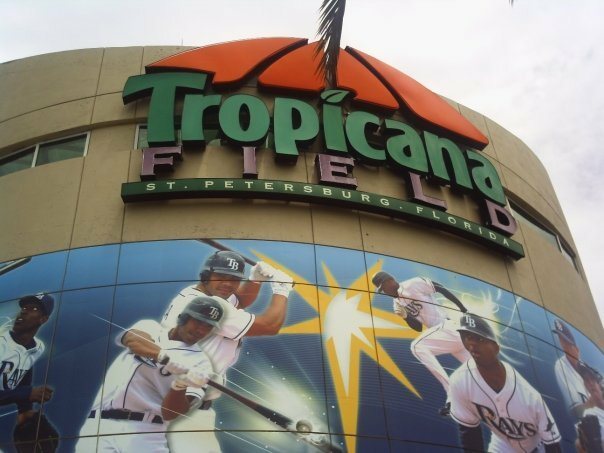 Tropicana Field was first opened in 1990, and for several years was subject of many rumors involving teams possibly moving to St. Petersburg. The Seattle Mariners and San Francisco Giants both leveraged the potential move to Tampa, in order to secure their own new ballparks of Safeco Field and AT & T Park. While the pars ranks in the bottom 2 or 3 of MLB Parks in most fan approval ratings, the club has made the facility a nice atmosphere for kids and families. 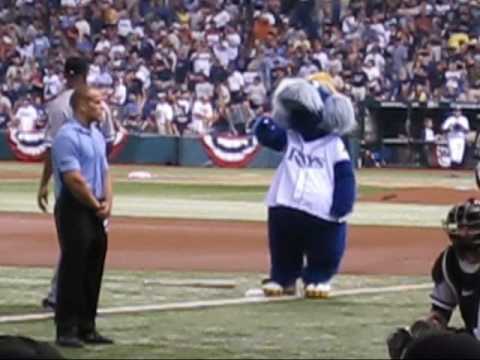 The best player the Rays took was Bobby Abreu. Unfortunately the team traded him to the Philadelphia Phillies for Kevin Stocker. Amongst the decent picks up in the draft were: Randy Winn, Esteban Yan and Jim Mecir. The team also had drafted Dmitri Young, however they traded him to Cincinnati to complete an earlier trade. It was a sign of early things to come. Rays GM Chuck Lamar lost his battle with DiamondBacks, although no player really lit the world on fire out of their selections either. The team had hired Larry Rothschild to Manage the team. 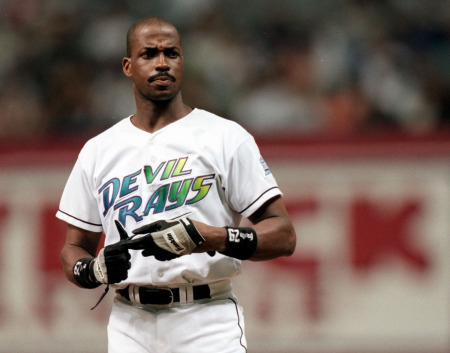 Fred McGriff played for the Devil Rays from the 1998-2001 years before a trade to the Chicago Cubs. He hit 99 HRs and drove in 359 RBI in just 2074 AB. The team had acquired Wade Boggs, Fred McGriff and Wilson Alvarez before their inaugural year. The team started off the 1998 decently before they fell off after the 1st month. Wade Boggs still collected his 3000th hit in August of that year. The team finished with a 63-99 record. The best players on the team were McGriff who hit .284 with 19 HRs and drove in 84 RBI. Rolando Arrojo surprised the baseball world by going 14-12 with a 3.56 ERA. 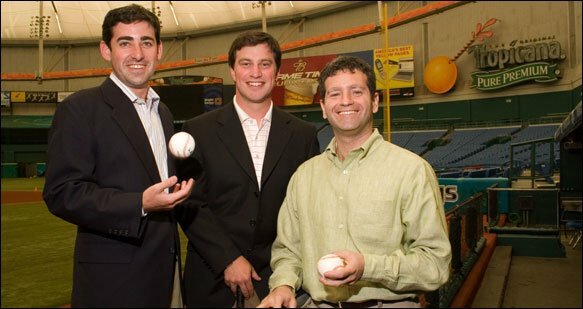 The Rays had a decent Draft in 1997 with future MLB’ers Toby Hall, Heath Bell and Willie Harris. The 1998 Draft saw the club select Aubrey Huff, Brandon Backe and Mike Jacobs. The 1999 year wasn’t much better as the team finished 69-93. Boggs was about the only reason to end early games in the franchise’s history. 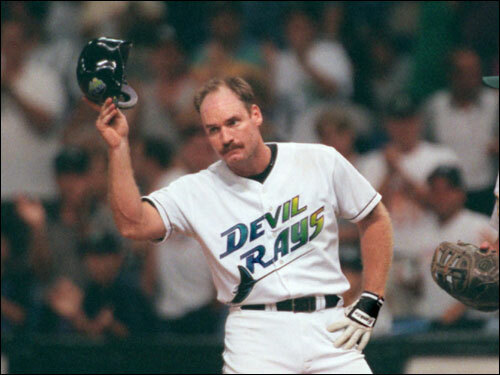 Boggs collected his 3000th Career hit during his Tampa days. The club did have some good individual years from Roberto Hernandez (43 Saves( and Fred McGriff plus Jose Canseco, hit 32 and 34 HRs respectively. Wade Boggs hit .301 in 90 games during his last year in the Major Leagues. The 1999 Draft should have transformed the team a lot quicker, as the team picked Josh Hamilton and Carl Crawford in their 1st 2 picks. Matt Diaz and Ryan Raburn were also drafted as hitters. Seth McClung and Doug Waechter were picked for the pitchers. Hamilton would soon leave the game of baseball and never surface until years later with the Reds. Things were supposed to change in 2000. The club beefed up its offense by acquiring Greg Vaughn and Vinny Castilla, Jose Canseco even dubbed them “The Hit Show.” However it was all talk. The team finished 70-91. Fred McGriff still managed to hit 27 HRs with 106 RBI, plus Greg Vaughn hit 28 HRs, however Canseco and Castilla battled injuries and only managed 15 HRs between the two of them. Surprise CF Gerald Williams had a career year with 21 HRs and 89 RBI. The starting rotation all yielded records under .500. The departing Roberto Hernandez did Save 32 Games. The club drafted Rocco Baldelli and James Shields in the Amateur Draft. 2001 saw another club regression as they finished 62-100. 14 Games into the season, Larry Rothschild was replaced by Hal MacRae as Manager because of a 4-10 start. The team decided to go onto a youth movement and traded all of their veterans away, deciding to build through the Amateur Draft. That first year of the new motto saw them draft Jonny Gomes and Jason Hammel. It was a brutal year for individuals. Only Tanyon Sturtze (11-12, 4.42 ERA) and Greg Vaughn (28 HRs 74 RBI) had respectable seasons. Huff was the first Rays drafted player that was offensive star. His best year was in 2003 with a .311 Avg, 34 HRs and 107 RBI. 2002 was even worse for the team, seeing the franchise compile the record for losses in a season with 106. The only bright spots were: Aubrey Huff, who hit .313 with 23 HRs and 59 RBI in just 454 AB, and Randy Winn also hit .298 with 27 SB and 87 Runs. The Draft class was looking to bolster the club for years down the road by selecting B.J. Upton, Elijah Dukes and Mike Pelfrey. 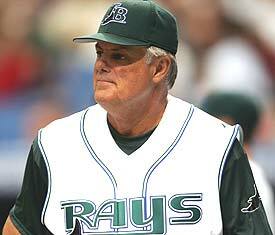 2003 saw the club trade away OF Randy Winn to Sea–tle in order to land Lou Piniella as their new manager. Not even the new fiery manager could save this team from its 63-99 Year. The club had 2 great Rookies with Carl Crawford (55 SB) and Rocco Baldelli (.289 with 78 RBI) join Aubrey Huff as top offensive players. Huff hit .311 with 34 HRs and 107 RBI. The team had anemic pitching and that was the reason for so many losses. The club drafted Delmon Young, John Jaso and Wade LeBlanc that June. 2004 was a breakout year for Carl Crawford (.296 with 104 Runs and 59 SB) and Lou Piniella was starting to see some positive steps to respectability out of his players. They finished 4th in the AL East Division with a record of 70-91. Things were looking promising. It was one of the teams better Franchise Drafts in which they netted: Reid Brignac, Wade Davis, Jeff Niemann, Jake McGee and Andy Sonnanstine. The team also was able to trade Victor Zambrano for Scott Kazmir. It was a trade that would look favorable for the Rays in the years to come. In 2005, the year was about as disappointing as they come following the 2004 year. Lou Piniella was showing major signs of frustration and left after the season. Jorge Cantu had 28 HRs and 117 RBI for the team, while youngster Jonny Gomes clubbed 21 HRs in just 400 AB. Crawford continued to improve, but it wasn’t enough. Danys Baez did provide 41 Saves for Tampa as the closer, but the starting pitching was weak. Scott Kazmir only stood out as a potential ace in the future. The club would end up hiring Joe Maddon for the start of the 2006 year. A 67-95 was a 4 game drop off from the previous year. Jeremy Hellickson highlighted all of the best players the franchise drafted in this year. 2006 saw yet another futile effort posted by the club as they went 61-101 in the 1st year with Joe Maddon at the helm of the club. The clubs offensive continued to improve, while the pitching was not coming around as fast. Scott Kazmir held down a 3.24 ERA to lead the clubs starters. Rocco Baldelli had begun facing career threatening injuries (unbeknownst to him) and missed most of the year for the club. Evan Longoria, Alex Cobb and Desmond Jennings were selected. Aubrey Huff was traded half way through the year for Ben Zobrist. The team was now under the tutelage of Stuart Sternberg, new General Manager Andrew Friedman and Team President Matthew Silverman. 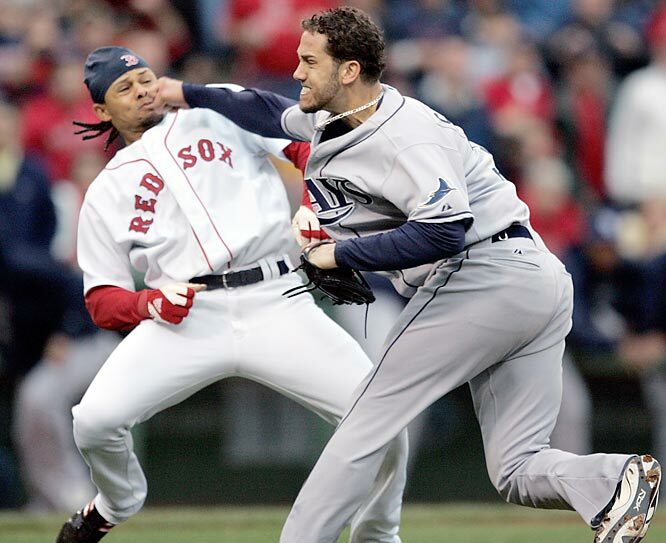 It was a bunch of team ‘Base Brawls’ with the Red Sox that helped the franchise start to gain respect amongst baseball. These happened during the year of 2008. The Rays have had more success than the Red Sox since then. 2007 had the club have its best offensive season ever for runs despite having a 66-96 record. The pitching was killing the club. 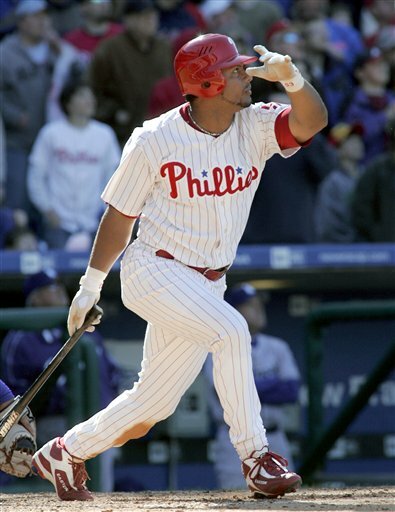 Delmon Young and Carl Crawford had outstanding years and Carlos Pena helped aid the power attack. Pena was a great Free Agent Signing, clubbed 46 HRs and 121 RBI and took home the Silver Sluggers Award for 1st Basemen in the AL. Crawford hit a Career best .315 and led the AL in SB for the 4th time in 5 years. B.J. Upton burst onto the scene with a .300 Avg ,24 HRs, 22 SB and 82 RBI. James Shields and Scott Kazmir went a combined 25-17, both of them had mid 3.00 ERA’s. The team drafted future ace David Price and Matt Moore. These 2 gentlemen represent 40% of the starting rotation for the upcoming 2013 season. 2008: There was something that happened to this team as soon as Evan Longoria burst onto the scene. The team also was savvy enough to have signed Troy Percival to close down games for them. The Scott Kazmir trade continued to pay dividends for the team. James Shields was quickly establishing himself as one of the games great young Right Handed Pitchers. The club jumped out of the gate and were leading the AL East at the ALL-Star Game. Newly acquired pitchers Edwin Jackson and Matt Garza stabilized a staff that saw its pitchers take the hill every 5 days without injury all year-long. Andy Sonnanstine rounded out the starting pitchers. These pitchers all had winning records and double digits for wins. The club had the best home record in the Majors and it officially started the shaking of “Cowbells” tradition in the park. The club soon would clinch a playoff spot and nail down the AL East Pennant. The Rays featured a lineup that led the AL in Stolen Bases with 142 swipes. Carl Crawford was amongst the best lead-off hitters in the game. The club also featured a stellar defense. Maddon had definitely started to make his mark from the old Angels style of baseball that he learned under Mike Scioscia. The Rays went onto defeat the Chicago White Sox in the ALDS in 4 games. This set up a classic 7 game series against the Boston Red Sox. Some of the players and fans all talk about this fierce rivalry as the molding of the team coming together. There had been many bench clearing brawls between both of the franchises earlier in the year. 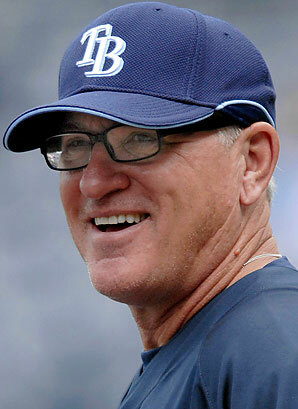 The Rays did not back down and Maddon has the pitchers exact revenge every time with Boston. It galvanized the teams chemistry and let the Red Sox know there was a new sheriff in town. The 2008 ALCS was a classic contest of back and forth between the two clubs. The Rays finally prevailed in Game #7 at home, behind a strong pitching performance by Matt Garza. The Rays had been up 3 games to 1 in the Series before the Red Sox forced it to a 7th game. The 2008 World Series had them face of against the Philadelphia Phillies. The clubs split the first two games of the series before weather starting wreaking havoc on the whole thing. The Phillies would end up prevailing in 5 games. In 2009, the team suffered through some injuries, and some sub-par years. The team made the decision to part with Scott Kazmir at the ALL-Star Break. They still finished with a 84-78 record, but well short of the playoff bar. Carl Crawford even hit an inside the park HR at the game I watched in US Cellular Field. David Price struggled for much of the season and the bullpen was in disarray. Andrew Friedman would need to reconfigure some of the players for the 2010 roster. Carlos Pena led most of the year for HRs in the AL before a season ending injury had him share the honors with Mark Teixeira. Jeff Neimann went 13-6 in his first full season. The club has seen a huge jump in payroll for the new year. This was going to have to be addressed for the 2010 season. Carlos Pena was a great Free Agent Signing prior to the 2007 season. 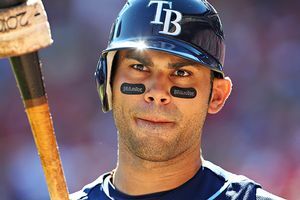 He has 163 HRs and 468 RBI in 2432 AB for his Rays Career. He played for the club 2007-2010, then again in 2012. However he struggled with a .197 Avg last year and the club replaced him at 1B for 2013. He is still a Free Agent. 2010 looked originally to be a step back for the franchise in terms of talent. Rafael Soriano turned out to be a great Free Agent signing as he posted 45 Saves for the club. Strong strides in maturity from Evan Longoria (104 RBI and David Price (19-6) would stoke the club into AL East contention all year. Carl Crawford (.307 19 HR 90 RBI, 110 Runs and 46 SB) was in the last year of his contract and he was on a rampage. The teams strength continued to lie with their starting pitching and their bullpen bolstered by several cast-offs from other teams. The team also was lucky the Boston Red Sox suffered a pile of season ending injuries and this opened up the door for them to challenge the Yankees for the Pennant. New York opted to rest its veterans and the Rays wrapped up their second AL East Title in 3 years with an American League best record of 96-66. This club ran into a smoking hot Texas Rangers in the ALDS and bowed out in 5 hard games in the playoffs. It was a miserable start to the offseason losing Carl Crawford to the Division Rivals of the Boston Red Sox. 2011 had the team roll the dice with aging Free Agents Johnny Damon and Manny Ramirez to start the season off. Soon after the season started, Ramirez was caught for using PEDs a second time by MLB and he quit the team. Damon provided the leadership the team had lacked in previous years. To make matters worse, the club started off the year by losing their first 6 games. Joe Maddon commandeered the speaker on the airplane to the next series and had the guys toast each other as ‘The best 0-6 team in the history of baseball.” The team responded well after that and was back in contention by the end of April. The Boston Red Sox had experienced a similar start and were neck and neck with the Yankees and Rays near the ALL-Star Break The Rays were 9 games out of a playoff spot heading into September. The Red Sox would end up going 7-21 in the month of September to open up the door for the Rays to sneak into the playoffs on the last day of the regular season as the WILD CARD team. They finished with a 91-71 record. Once again, they ran into a powerhouse Rangers team that eliminated them in 4 games of the ALDS. The club still had made their 3 playoff appearance in the last four years. The year included a surprise bullpen effort from Kyle Farnsworth (2.18 ERA and 25 Saves in 63 Games). Shields had another solid campaign with a 16-12 Record and a 2.82 ERA. 2012 was supposed to be another year the team had left on its radar for competition. The club started out hot in April before a serious injury to Evan Longoria ended up plaguing their entire season. The starting pitching of David Price (20-5, 2.82 ERA) of James Shields (15-10, 3.52 ERA) was outstanding. Price was nearly unhittable for the whole season. By the time Longoria came back to the team, the club was just near the .500 Mark. Much like the Angels, the Rays were one of the best teams in the Majors after the ALL-Star Break and ended the year at 90-72. It was 4 games short of the playoffs and one has to wonder what would have happened if Longoria was never hurt. 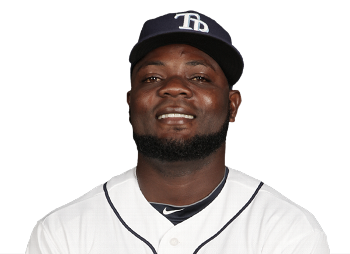 Fernando Rodney nailed down 50 Saves and featured an ERA of 0.60, while David Price went 20-5 en route to the teams 1st Cy Young Winner. The team only allowed a Franchise Best 577 Runs Against. Rodney had 48 Saves and a 0.60 ERA in 2012, to place 5th in AL Cy Young Voting and was an ALL-Star. He is signed for one more year in 2013 at just 2.5 Million. He was named AL Comeback Player of The Year in 2012. Will ascended onto the PCL scene last year and ripped out 24 HRs in just 99 Games at Omaha. The Rays will be counting on him for their offensive future. The future looks bright for the Rays as they just signed Evan Longoria to an extension through 2023. 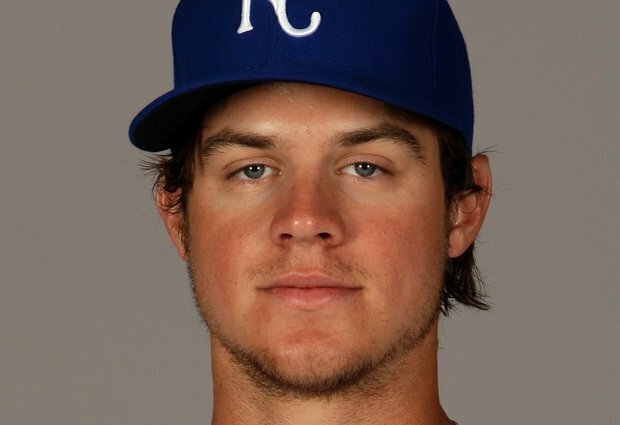 The team just traded Wade Davis and James Shields for hot OF prospect Wil Myers. The OF looks set with Desmond Jennings and Matt Joyce out there for some time. Ben Zobrist is one of the games all around best players. The clubs will need continued great efforts from young starter Matt Moore and a return to form for Jeff Niemann. David Price will be tougher to hold onto as the years progress, but this is something the team always has in mind. They also just acquired SS Yunel Escobar, and have him under team control for the next three years. At first base, they have James Loney signed to a 1 YR deal. The club still needs to sign a DH. Joe Maddon is regarded as one of the best managers in the game and generally squeezes the best out of his club year in and year out. With the Yankees and Red Sox battling Father Time and injuries to their big stars, the Rays should be competitive for the foreseeable future. Now they must contend with the whack of money that the Toronto Blue Jays have put up in their off-season. Even the Baltimore Orioles should surpass the 100 Million Dollar Payroll Mark for 2013 and beyond. The Rays are hovering around the 60-65 Million Dollars for 2013. It will become tougher and tougher to keep fighting the challenges set forth by the fiscal limitations for the franchise by playing out of Tampa Bay. It is remarkable to see how creative and progressive the team has been under the front office since Sternberg has been the owner. Other than the Oakland Athletics, has there been another team in the MLB, that has competed so well with so many hardships? I will continue to watch with interest as this club continues to fight for baseball supremacy. At the very least, they are highly respected and admired for their organization right now. The Brass of The Tampa Bay Rays. Joe Maddon is 106 Games over .500 as Manager since the start of the 2008 season. He has shown a flair for camaraderie with his team and has even dyed his hair, dressed up on flights with his club, all for enhanced team chemistry as their skipper. 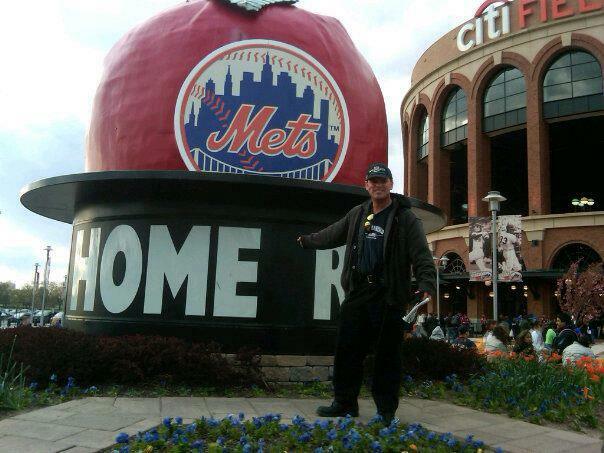 Posted on December 20, 2012, in The Rest: Everything Baseball and tagged 2008 world series', @chuckbooth3024 on twitter, AL East, alex cobb, American league, andrew friedman, andy sonnanstine, arizona diamondbacks, at and t park, aubrey huff, b.j. upton, baltimore orioles, ben zobrist, Bobby Abreu, brandon backe, carl crawford, Carlos Pena, chicago cubs, Chuck Booth. fastest 30 ballgames, chuck lamar, danys baez, david price, delmon young, dmitri young, dough waechter, edwin jackson, elijah dukes, esteban yan, evan longoria, gerald williams, greg vaughn, hal macrae, heath bell, houston astros, jackie robinson, jake mcgee, james loney, james shields, jason hammel, jeff niemann, jeremy hellickson, jim mecir, Joe Maddon, john jaso, johnny damon, jorge cantu', josh hamilton, kevin stocker, kyle farnsworth, larry rothschild, lou piniella, manny ramirez, mark teixeira, matt diaz, matt garza, matt moore, matthew silverman, mike jacobs, mike pelfrey, mike scioscia, national league, philadelphia phillies, rafael soriano, randy winn, reid brignac, roberto hernandez, rocco baldelli, rolando arrojo, ryan fontenot, ryan raburn, safeco field, san diego padres, scott kazmir, seattle mariners, seth mcclung, st. petersburg florida, stuart sternberg, tampa, tampa bay devil rays, tampa bay rays, tampa bay rays payroll 2013, tanyon sturtze, texas rangers, toby hall, toronto blue jays, tropicana field, victor zambrano, vince naimoli, wade davis, wade leblanc, wil myers, willie harris, wilson alvarez, yunel escobar. Bookmark the permalink. 3 Comments.